The Scary revelation is that, a broken tooth or dental emergency does not always hurt. The worst kind of Broken Tooth. During our routine check up and cleans in Castle Hill, we are very comprehensive. We will often see and discuss fractures in teeth. 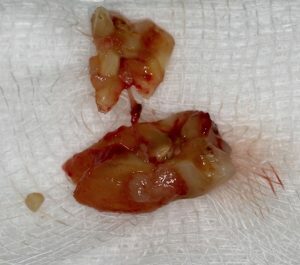 These are quite common to see everyday, particularly if someone has old metal/amalgam fillings or they grind their teeth. Cracks or fractures in teeth rarely hurt until it is a big problem and can be the worst kind of dental emergency! See below for more detailed photos. Teeth that have had Root Canal Treatment, fracture at a higher rate than living teeth. The blood supply to the tooth has been taken away to make sure the tooth does not hurt, this makes the tooth brittle and more likely to fracture. Think of when you apply pressure to a tree branch, when it is connected getting nutrients and water, it is likely to bend. If it has dried out it is likely to snap. Silver or black metal fillings, are notorious for causing the right conditions for cracks to occur in teeth. 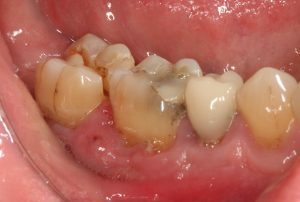 These older style fillings can last for a really long time, so they definitely have their benefits, but unfortunately they are not perfect. Amalgam is made up of metals which expand and contract with hot and cold environments more than the tooth. They are also subject to something called ‘dynamic creep’ which is to do with the pressure of your bite through the filling. After enough time, cracks can form in the tooth, eventually leading to the loss of a portion of the tooth or in the worst case, a complete split. Grinding causes intense forces which can cause hairline cracks to form and then develop to become significant, tooth-threatening fractures. 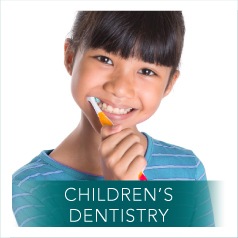 We have seen virgin unfilled teeth, crack under repeated teeth grinding stresses. So filled teeth do not stand a chance. Stay tuned for more information about teeth grinding in future posts. You experience sharp pain or a weird sensation when biting. The toothache only occurs when you bite a certain way or into something hard. When we look into our lovely patients mouths and see fractures, we are always concerned that what you see in the photos will happen. 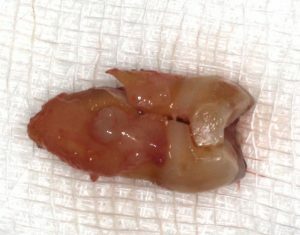 It does not always happen and in the best case scenario a large piece of the tooth breaks away. Nonetheless we let our patients know what we find so that they can make the best decision for themselves. A really simple way to help with some tension headaches and prevent tooth fractures or broken teeth is to have a custom made night guard, also known as an occlusal splint. It helps keep the forces off the teeth, kind of like suspension. Another Option is to have muscle relaxing injections, to reduce the intensity of the grinding, reducing the force on the teeth. 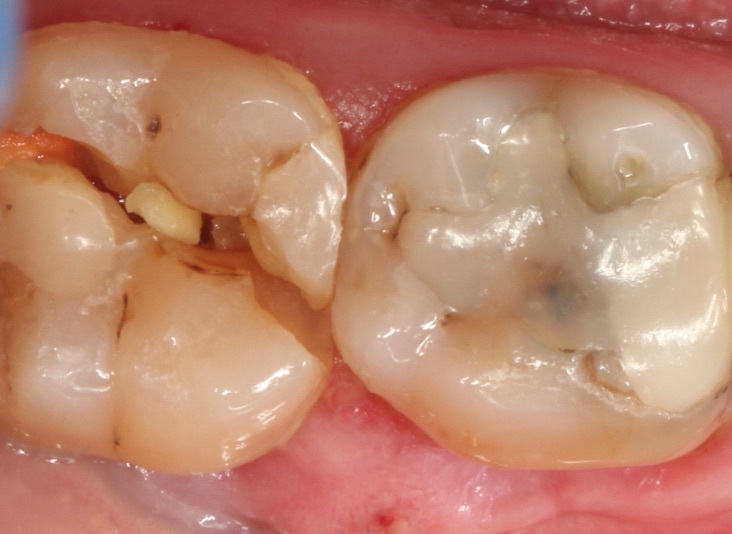 The greatest number of unsalvageable split teeth occur on molar root canal treated teeth that have not had a crown. It is considered virtually mandatory to place a crown after root canal treatment to prevent the worst from happening and ensuring the tooth serves you well for years to come. 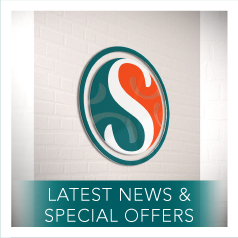 Cerec is a really great new technology that we can offer at Sara Couch and Associates. It allows us to provide ceramic fillings and very conservative crowns that last longer and can help glue the two sides of the broken tooth together. Removing the cracked portion from teeth helps them to avoid splitting further and can help splint the tooth together. 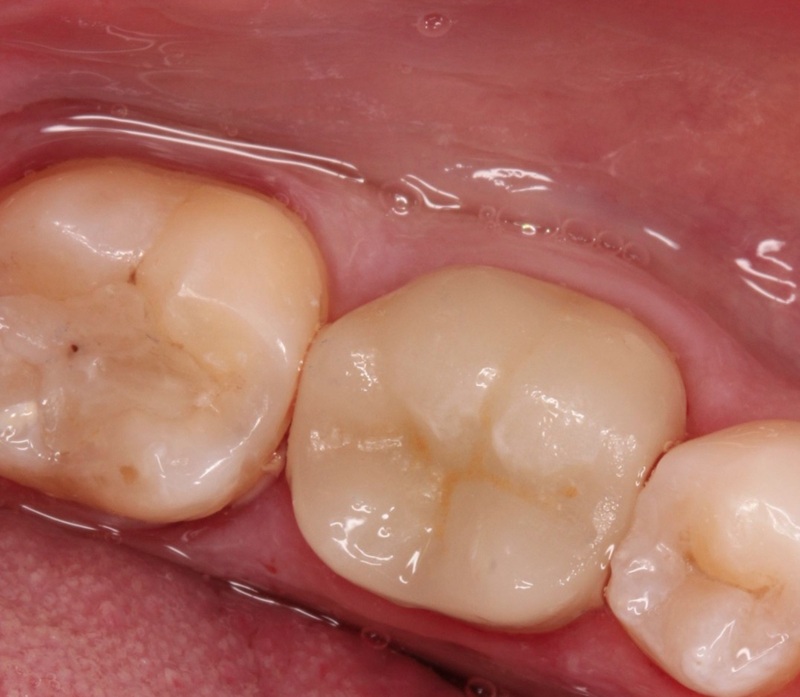 Additionally, replacing amalgam fillings and associated cracks with modern ceramics such as CEREC will actually serve to protect the teeth from breaking in future. 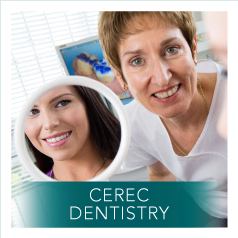 Call today for an appointment to discuss how CEREC can work for you. If you suspect you have a crack, conservative early treatment is best. Leaving it too late may result in root canal treatment, when the crack makes it through to the living nerve of the tooth. Advanced cracks which go beyond the pulp and through the roots of the tooth result in extraction of the tooth. Of course, regular check-ups will allow your dentist to detect cracks early. 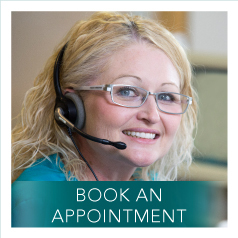 Here at Sara Couch and Associates your Dentist in Castle Hill, we are here to help. If you are worried about a broken tooth or suspect you have a nasty crack in your tooth please call (02)98940244 to make sure we get the chance to save it.